Mary Etta Munn, daughter of David Munn and Ida Mae Loupee, was born Oct. 12, 1902 in Jasper Co., Iowa and died June 17, 1971 at Omaha, Douglas Co., Nebraska. She married Calvin Glade Grubb Feb. 26,1918 at Conway, Taylor Co., Iowa. 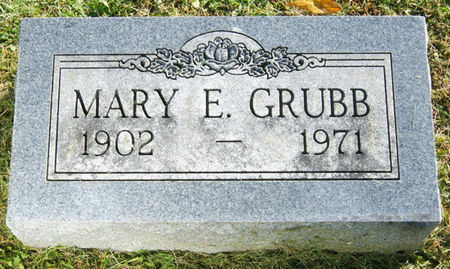 Searching for MARY ETTA GRUBB in Taylor County Iowa?